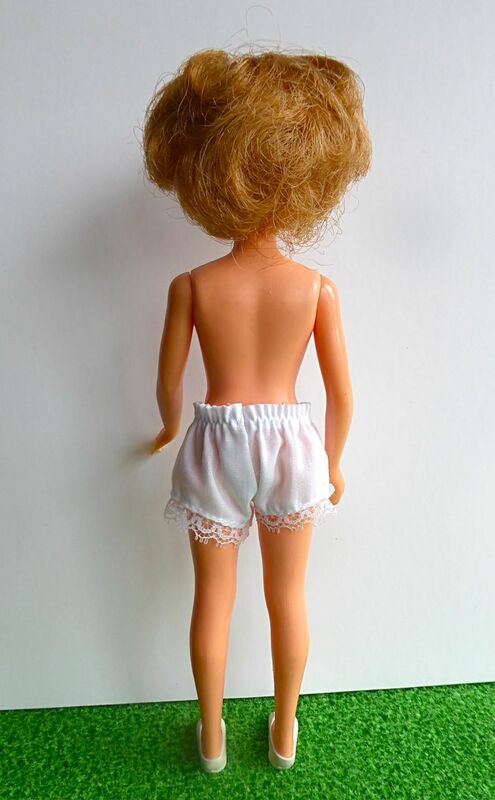 Pepper Is a distinctive 9 in/23 cm doll created in 1963 by the Ideal Toy Corp as Tammy’s (naughty) little sister. What is unique about Pepper is her sprinkling of freckles, giving her a delightfully impish air. She comes with rooted dark blonde, which has been styled in the then–popular bubble cut. 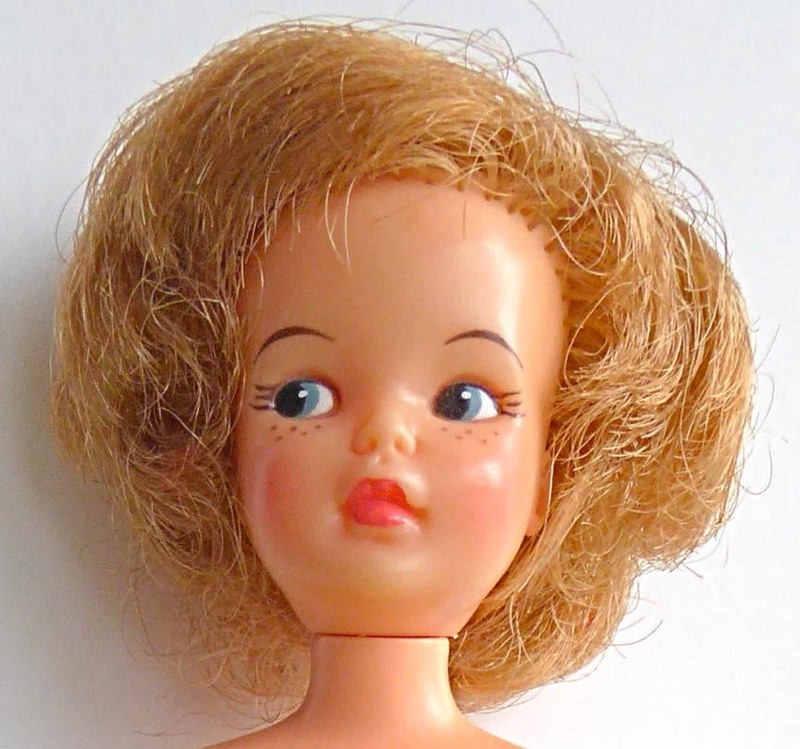 She makes an ideal older sister for Penny Bite or Ginny “Sassoon” dolls, or indeed any doll with painted-on eyes.